Strong winds gusting up to 80 km/h brought down trees and power lines in Greater Vancouver and British Columbia’s Lower Mainland. At the peak of the wind storm, about half-a-million customers were without power in the region but crews had restored most by Sunday morning. 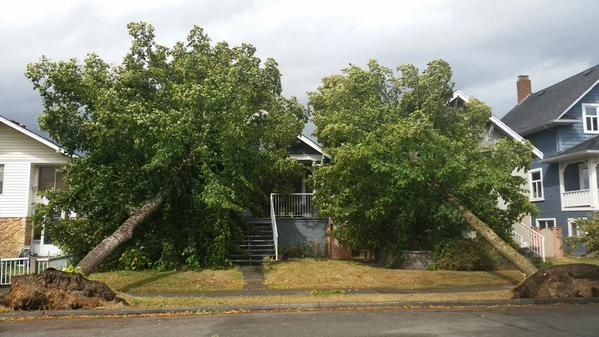 Vancouver officials blame a summer drought for making trees weaker and more susceptible which is why many came crashing down on homes and vehicles. Environment Canada warns that more wind and rain is expected to impact the region over the next couple of days.